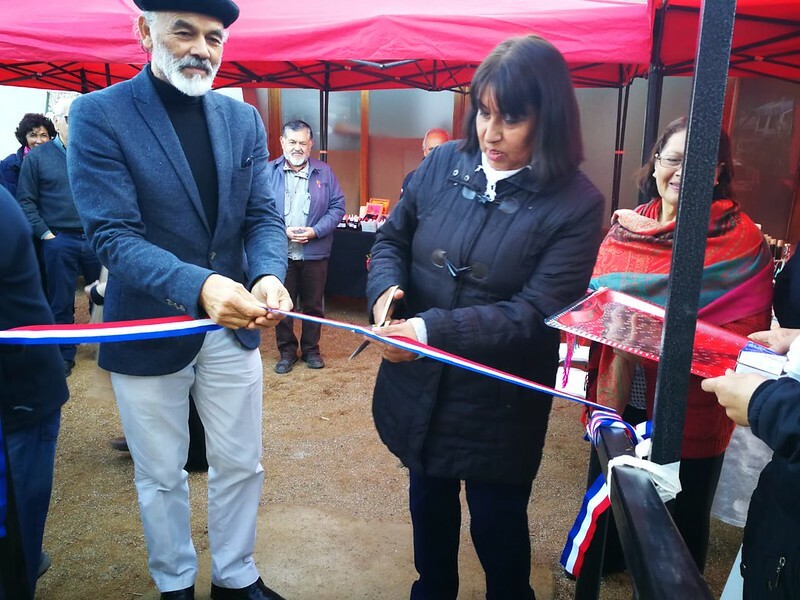 Chile: Opening of the first Processing Room of medicinal herbs in "la Quebrada del pobre"
Ligua (Chile), 06/01/2018, Srs. delegation of Aconcagua.- In the Good Shepherd Church located in Quebrada del Pobre, La Ligua city, Chile, it was opened the first processing room of medicinal herbs whose name is Sister Esther Valencia Cárdenas. El Torrente Women’s Group is the first medicinal herb association of alternative medicine in Petorca Province, from Valle Hermoso. This group, after specializing with Sister Esther during 2016, managed to consolidate themselves and rescue nature by means of medicine in pursuit of integral wellness from the local herb shop. This processing room will allow women from El Torrente group carry out the phytotherapy which is the treatment of the herbs in order to get different types of products: syrups, creams, drops, infusions, soap, antirheumatics and many others. The person in charge of El Torrente group, Elia Miranda Romero, declared: "This is the peak of a process in which we have been working on together. We can have this space where we are able to make our products since before this, we had to work in the church. Now, thanks God, we have finished the room in its first stage. Here, we have the necessary implementation to process our herbs”. The room has two pavilions, one related to the processes and another for showing the products. The construction of this room was carried out thanks to a project supported by the Agriculture Development Institute (INDAP as per acronym in Spanish), an institution dependent from the Agriculture Ministry of the Chilean Government. It is important to mention the religious orientation of the group, thanks to the charisma transmitted by Sister Esther, who gave people from El Torrente group all her knowledge about the healing properties of the herbs. Despite being a two-year old Project, the people who participate in it are already thinking of a future second stage in which they can acquire more equipment and continue with a more complete manufacture of products for the sake of the community. This processing room will allow women from El Torrente group carry out the phytotherapy which is the treatment of the herbs in order to get different types of products: syrups, creams, drops, infusions, soap, antirheumatics and many others.